The EUROCOM P5 Pro and P7 Pro Mobile Workstations are pushing the boundaries of performance, capability and professionalism with an Intel Z97 Chipset supporting Intel Core i7-4700 Series and Intel Xeon 1200 v3 Desktop Processors, NVIDIA Quadro graphics and up to 32 GB of RAM. This processors and graphics combination offers the same performance found in high-end professional desktops while making it easy to take your work into the field. The EUROCOM P7 Pro and P5 Pro supports NVIDIA Quadro K5100M, K3100M and K1100M for professional grade reliability and compatibility. The EUROCOM 15.6” P5 Pro and 17.3” P7 Pro has Intel® XEON E3-1200 v3 and Intel Core i7-4700 series support from an Intel Z97 Express Chipset and LGA 1150 socket. Memory is fully upgradeable and configurable with four SODIMM sockets able to support up to 32 GB of memory. The 15.6” EUROCOM P5 Pro supports a variety of crystal clear displays from 1920x1080 FHD, to 3840x2160 4K displays to allow customers to choose the exact display for their projects. The 17.3” EUROCOM P7 Pro supports High Definition matte and glossy displays so there is no need for an external monitor. The EUROCOM P5 Pro is an all in one system that results in a compact 7.5 lbs., 5.4x10.48x1.4 inch solution. 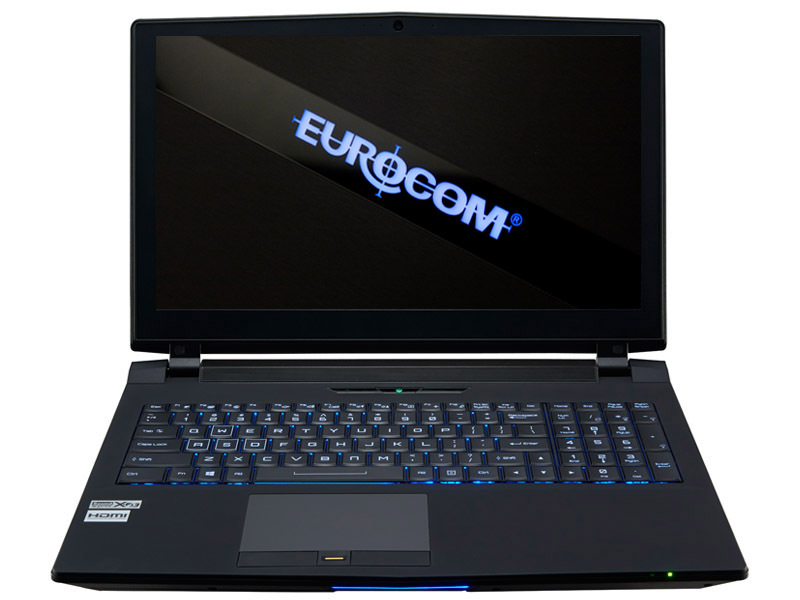 The EUROCOM P7 Pro weighs 8.6 lbs., and has 16.72x11.28x0.64-1.52-inch dimensions. The new line of Eurocom systems has Control Center Software to give professional users the ultimate control over their workstation. Eurocom is all about putting power into the hand of the customer, now users can control and customize their backlit keyboard, power settings, quick keys, display switching, audio enhancement and even fan speeds. Heavy Duty ABS plastic is used in the chassis to provide a very rugged, yet sleek case that is perfect for professionals on the go, who require a tough all in one system that can take a beating.